If you are looking for a heavy duty gantry crane for biggest weights lifting application, from 3.2 to 500 ton or even more, Ellsen has the experience in design and manufacture 50+ different kinds of heavy gantry crane for sale. With high quality and safety, short delivery, as well as very competitive price, Ellsen’s heavy weight gantry crane is very welcome for the people around the world. 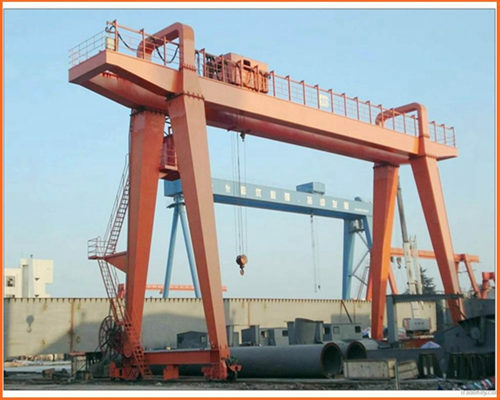 We mainly offer you three different types largest gantry crane in structure. They are the BMG type double girder heavy duty semi gantry crane for sale, the MG type box structure double girder heavy duty gantry cranes for sale and the truss structure heavy gantry cranes for sale. Usually, our large gantry cranes are designed into double girder to ensure higher work efficiency and bigger lifting capacity, however, if a single girder is fine for you, we can also free design the single girder heavy weight gantry cranes for you on the basis of your needs. With single, double or even multiple girders spanning on the top of two legs support, a largest gantry crane is a floor rail material handling solution. Rely on more than one-half century’s experience, Ellsen is capable to design and produce the largest gantry crane in the world for both indoor and outdoor utility. Basic information of our large gantry cranes are just as follows. Different with other double girder heavy duty gantry crane, Ellsen’s BMG double girder heavy duty semi gantry cranes hold the difference of legs, and these support legs can be also designed according to real work condition. One side of the BMG type heavy duty gantry cranes walk on the ground by tires or rail mounted, while the others moves on the wall to achieve cargoes’ movement in horizontal and vertical direction. 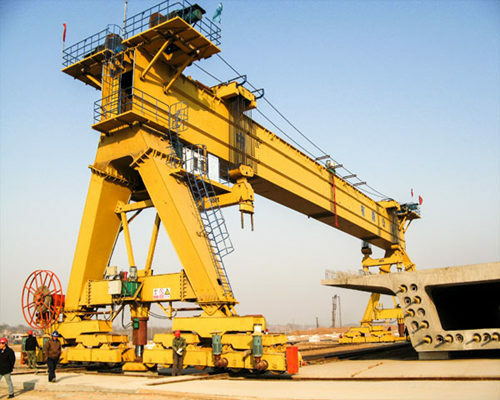 BMG type heavy duty semi gantry crane enjoys smaller lifting capacity than MG type, which can be reach 32 ton or 50 ton at most, as well as 18-35m span and 6-12m lifting height, you can send us your need or get clear large gantry crane project plan from us freely. Ellsen’s MG type heavy gantry crane is mainly designed to lift biggest load, which can reach 200 ton, 500 ton or even more. with a series of safety protection device, such as the overload limiter, emergency power off device, as well as anti-sway equipment and range limiter, MG type double girder heavy duty gantry crane will be your first choice for weight lifting with high quality and safety. Ellsen’s MG type double girder largest gantry cranes mainly can be divided into three types in different support legs, the A type leg double girder large gantry crane for regular lifting condition, the U type leg heavy duty gantry cranes with big leg space for cargoes to pass. 1.Simplify the structure of a large duty gantry crane, leaving the lighter dead weight and low producing costs. 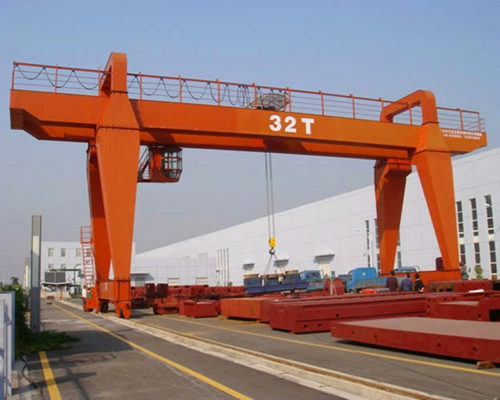 3.Develop the up sizing heavy duty gantry crane equipment to adapt bigger range working environment. 4.Not only short the design time, but raise a heavy gantry crane quality through learning from the foreign, which maximum save the spending. 5.Combination with the transportation perfectly using advanced technology in Ellsen heavy weight gantry crane which improve work efficient to a greatest extent. The truss structure heavy duty mounted gantry cranes mainly designed for outdoor service where with big wind and sandstorm. Due to the truss design leads to small contract area and friction force, leaving high safety and stability. 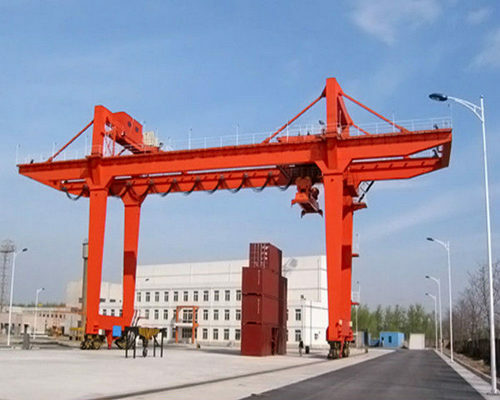 1.Various options in heavy duty mounted gantry crane components, such as the rail, remote control, cabin control, with cantilever or not, in box structure or truss structure, the length of span or lifting height. 2.6 types of electric hoist equipped. Such as the smaller volume chain electric hoist, common type electric wire rope hoist, European standard less maintenance electric hoist, as well as special using electric hoist, like explosion-proof electric wire rope hoist. We have a lot of electric hoist storage for customers purchaser or maintenance. 3.Both the BMG type heavy gantry crane and MG type heavy weight gantry crane can be designed into European type matched with European electric hoist to enjoy long work life and zero maintenance. 4.The double trolley on our heavy duty gantry crane can work together, and the trolley meet the force requirements to protect the concrete beam. Want free heavy duty gantry crane design or price? Founded in 1955, Ellsen machinery equipment co.,Ltd company has been one of the biggest supplier and the largest manufacture in crane industry in China. 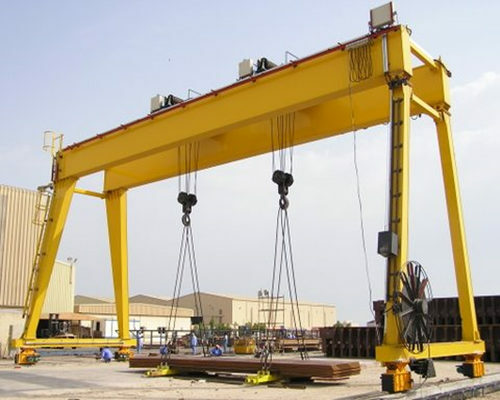 Located in the hometown of crane, we own the most advanced technology and professional experts to assist our customers for designing, manufacturing, installation or maintenance of a large duty gantry crane. 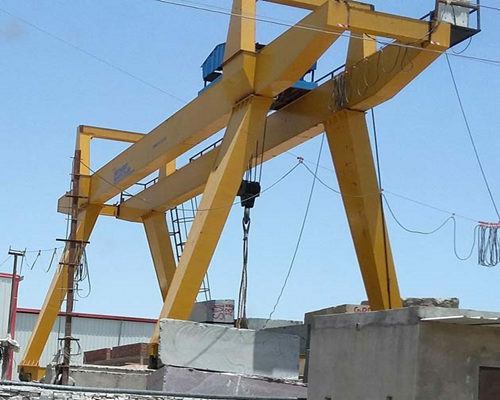 due to the unique geographical, mainly “one horizontal and one vertical road” that is the Longhai expressway and the national road of Jingguang, we are confident to extend our business in a wide range and find the best and strongest components to produce your perfect small gantry crane. During our growing, we always insist on the principle of “seeking truth and being pragmatic”, offer our customer fast and thoughtful delivery and competitive price, being thinking highly among our customers. Wide business, elaborate service and strong brand helps our company getting vast potential for future development. We are waiting for you with enthusiasm to manufacture diversified modes of large gantry crane to meet all your lifting requirements. 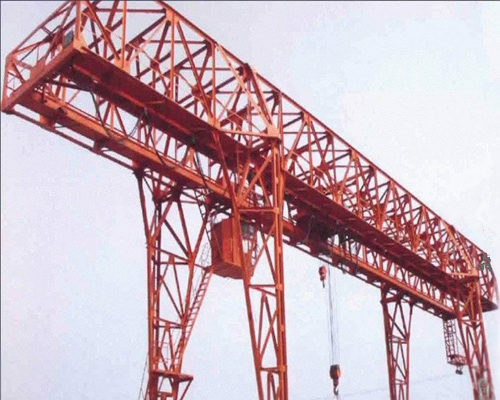 Just send your free inquiry for Ellsen heavy duty gantry crane for sale now. 1. Rated load(t): 2. Lifting height(m): 3. Span(m): 4. Power source: __v/__hz/__phase 5. Which kind of goods does it lift : 6. Crane working condition or environment: 7. How long meters does your crane travel?